This follows the Maxwell family (Roundheads), the daughter Kate is highlighted, the Langley family (Cavaliers), small glimpses of the Cliffords, Luciano del Santi, and the English Civil War. There is a lot of history in here, you get a good look at the players, circumstances, and events that lead to the war and then how it affects the family and friendships. Luciano and Kate are the romantic element but they do spend more time apart than together. Luciano is on a revenge/justice mission to find out who orchestrated his father's death. This worked to keep Luciano away from Kate and some added angst, but for me, it felt unnecessary and clogged up the story, we have a whole Civil War lead up and beginning to deal with. The author does an amazing job with her characters, their relationships, and development of story with historical persons and events weaved in. The last thirty percent was tension filled with a focus on the Basing House siege and Luciano finally meeting his enemy. I was totally sucked into these characters and their stories, there is a wide cast with even secondary characters stealing your attention. Since Luciano really doesn't have a side in the war, besides the mentioned Basing House and some Powick Bridge, direct contact with battles, blood, and death isn't focused on. The feel of the war is through Kate's father Richard (you'll fall in love with him and his wife Dorothy and their relationship) and the political dealings he navigates in the parliament, the emotional dividing it causes for our characters, and nightly news feeling updates. 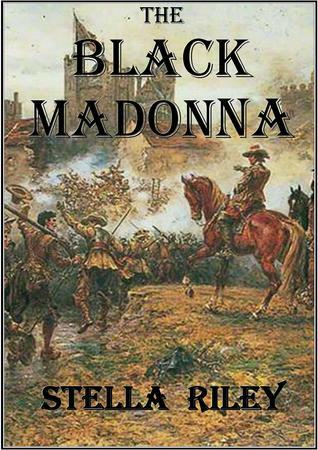 Sign into Goodreads to see if any of your friends have read The Black Madonna. For more quotes and comments - Buddy Read The Black Madonna"
I get way too nerdy when real history and people appear in books, the knowing anticipation. lol." Shitith starting to hitith the fanith"
For more quotes/comments - Buddy Read The Black Madonna"
70.0% "He’d admitted that he had enjoyed kissing her but was telling her not to read too much into it. She put aside for later, the question of why – if he didn’t want her getting ideas – he’d made the admission at all. Sounds like a legit historical romance not just window dressing. I'm glad you enjoyed it. It's not a period of English history that features often in HR - and yes, this can be described as HF with a strong undercurrent of romance - and it's fascinating. FWIW, this is my favourite of the 4 books in the series (so far), but the other are all well worth reading, and as I commented on Sam's thread earlier, don't miss out A Splendid Defiance, which is one of my all time favourite HRs. Good review! Another successful buddy read. Woot! WhiskeyintheJar/Kyraryker wrote: "The glimpse of Captain Ambrose solidified me reading Splendid, I'll probably read that one next instead of going to book two in the series"
Justin was my first book boyfriend :) He's a fabulous hero.